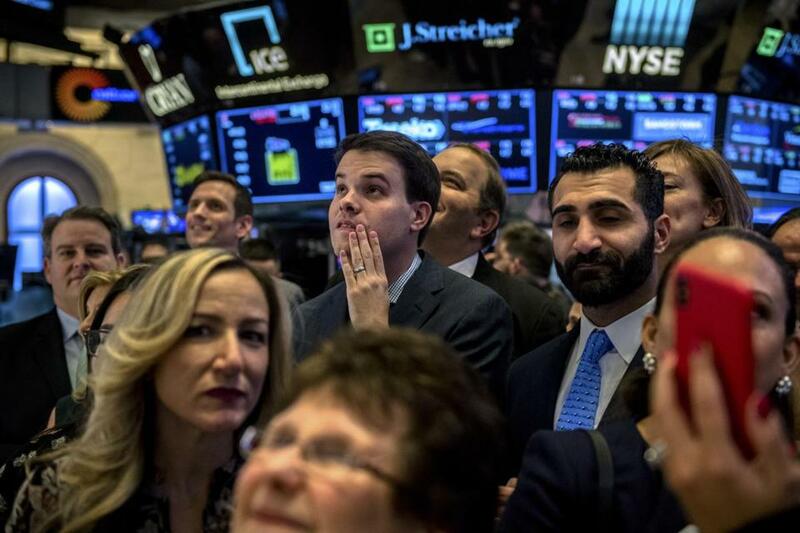 People on the floor of the New York Stock Exchange moments before the closing bell. US stocks clawed most of their way back from a deep slide Thursday that at one point had wiped out the market’s gains for the year. The sell-off eased by late afternoon, however, after The Wall Street Journal reported that said the Federal Reserve is considering breaking with its current approach of steady interest rate hikes, favoring a wait-and-see approach. That was relief to investors worried that the Fed might raise interest rates too fast, which could choke off economic growth. ‘‘The Fed is trying to, in essence, come out and make it clear they are not on a rigid schedule of rate hikes next year,’’ said Quincy Krosby, chief market strategist at Prudential Financial. Did the US break the trade cease-fire over Chinese spying and Iran sanctions? The stock market — which is plummeting again this morning — sure thinks so. US stock and bond trading was halted Wednesday because of a national day of mourning for President George H.W. Bush. The Fed has raised rates three times this year and is expected to boost rates for a fourth time at its Dec. 18-19 meeting of policymakers. That steady pace of rate hikes has begun to worry some investors amid growing signs that some sectors of the economy are hurting, including U.S. home sales. At the same time, there has been growing evidence that the global economic growth is slowing. 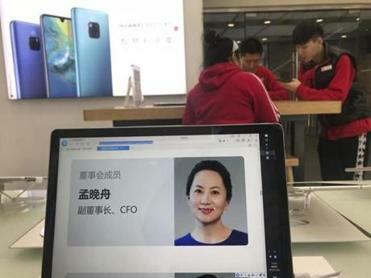 Thursday’s initial wave of selling in the market came about as traders reacted to the news that Canadian authorities arrested the chief financial officer of China’s Huawei Technologies on Wednesday for possible extradition to the US. The Globe and Mail newspaper, citing law enforcement sources, said Meng is suspected of trying to evade US trade curbs on Iran. The arrest came less than a week after President Trump met with Chinese President Xi Jinping at the G-20 summit in Argentina. Markets rallied on Monday on news that Trump and Xi agreed to a temporary, 90-day stand-down in their trade dispute. That optimism quickly faded as skepticism grew that Beijing will yield to US demands anytime soon, leading to a steep sell-off in global markets on Tuesday. The renewed jitters over the implications that Meng’s arrest could have on US-China trade negotiations weighed on overseas markets. The expectation did not keep the price of oil from falling, however, as investors focused on the potential economic disruption from any escalation in the US-China trade dispute. Benchmark US crude dropped 2.6 percent to settle at $51.49 a barrel in New York. Brent crude, used to price international oils, slid 2.4 percent to close at $60.06 per barrel.